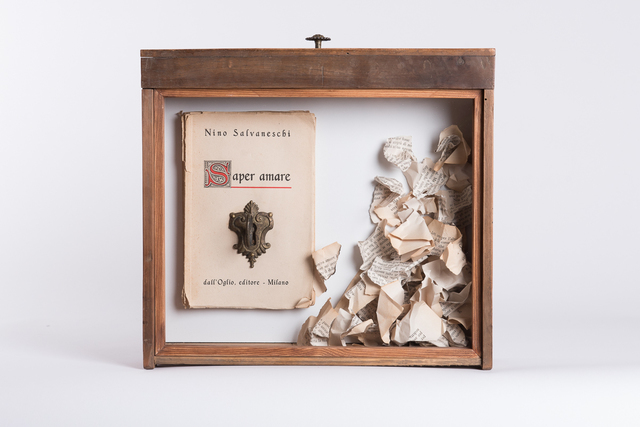 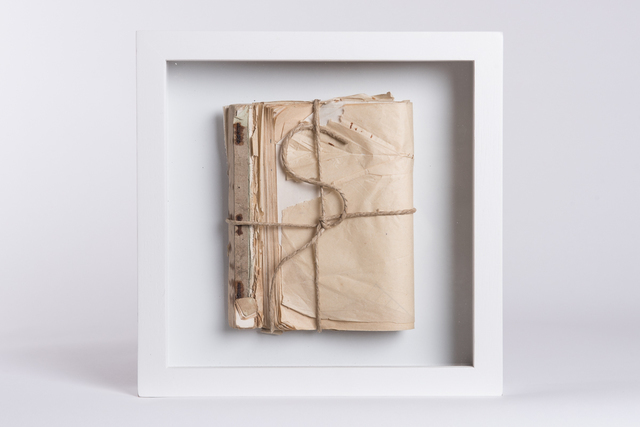 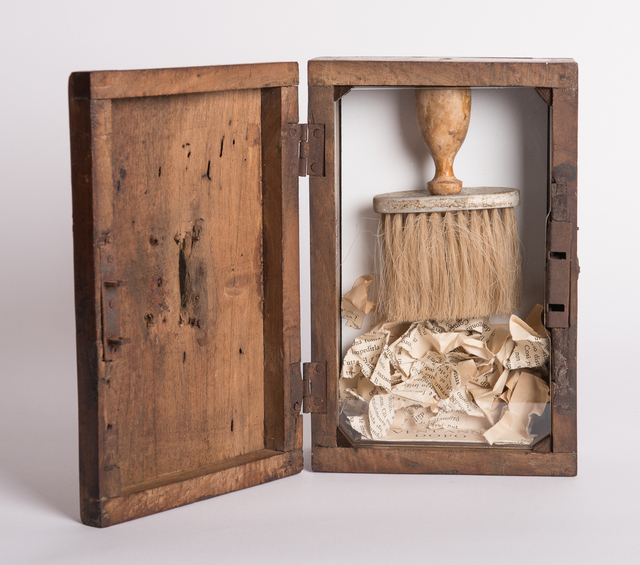 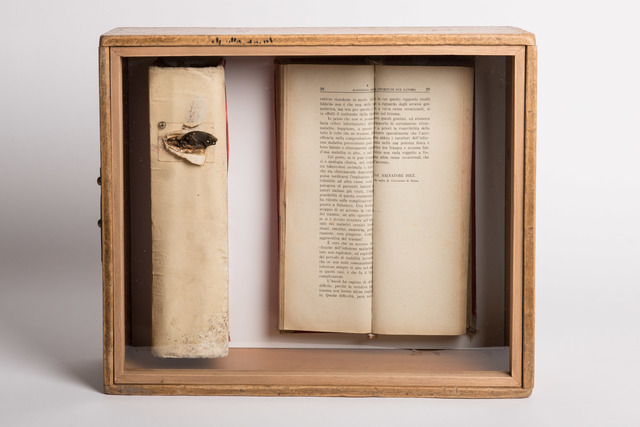 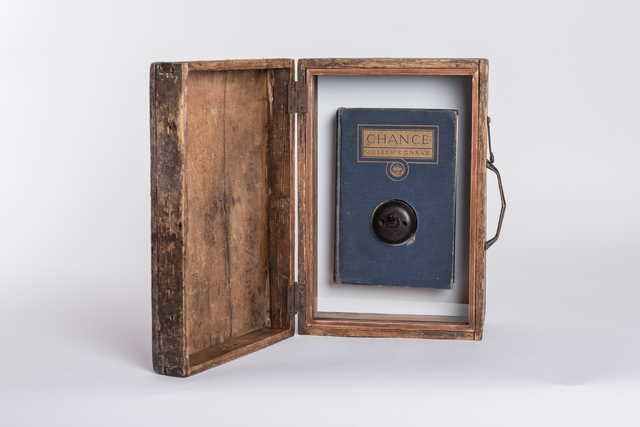 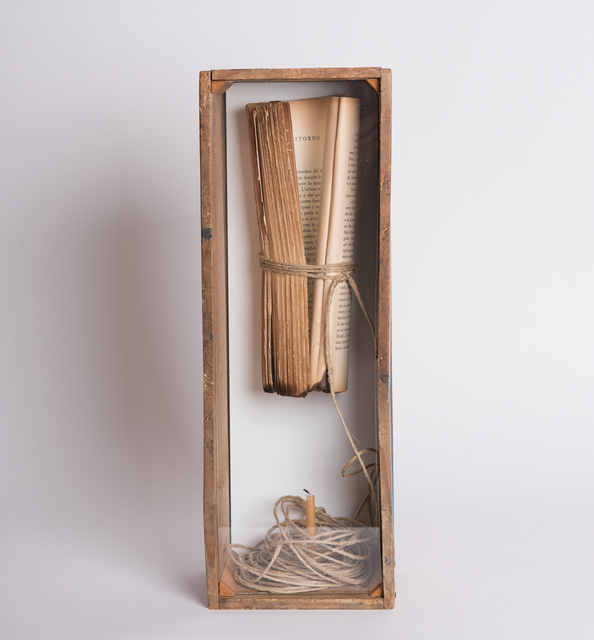 Sara Lovari's assemblages of ancient books and objects have a strong hermetic flavour. 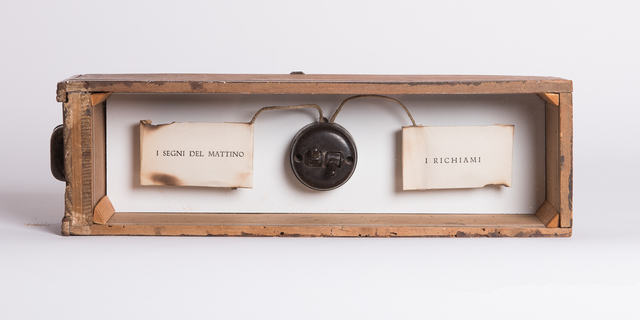 Hermeticism is a difficult and closed style in the search for the analogical form, together with the deepening of a hidden inner experience, which, although never openly declared, distinguishes the work of this young Tuscan artist. 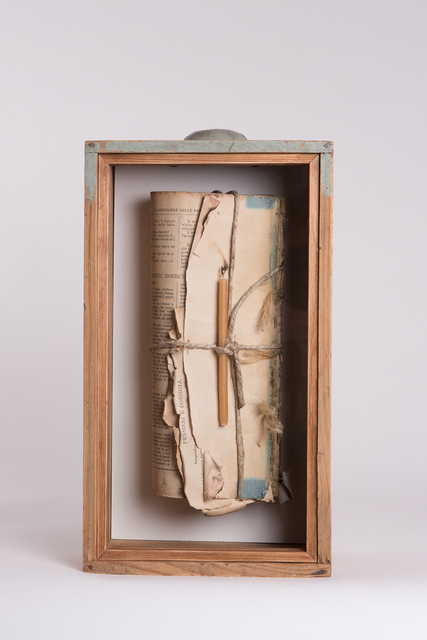 Through a careful selection not only of materials, but above all of texts - or rather extracts of texts - fulcrum of her compositions, Lovari communicates to us her statement against today's manipulability and communicative ease, giving back to the word the words intrinsic evocative magic, whose analogy and harmony have the task of revealing the unknown.